With the ever-increasing globalisation of the wine industry, we, like you, could be forgiven for thinking we were all just pawns in the big wine company game. 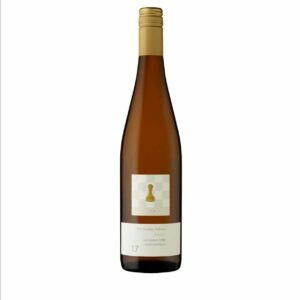 The release of the Pawn is a manifestation of our resolve to amend this situation by releasing wines hand crafted from small parcels of premium fruit from our Adelaide Hills Vineyards. There are aromas of nectarine, white peach & melon fruits coupled with roasted hazelnut and oak spice on the nose. Way-way off into the distance is the subtle hint of ginger and pink musk lollies—a unique character of this clone. The palate displays citrus fruits, lemon curd and almond meal notes. Batonnage stirring has added texture to the palate, creating a wine with balance and complexity. The wine is a blend of both wild yeast and traditional barrel ferment with partial solids. Post fermentation the wine was matured in French oak for ten months prior to bottling to create depth and texture. Jeu de fin – or end game, may occur gradually or with the quick exchange of a few pairs of pieces. In end game strategies the Pawns become more important; with the game often revolving around attempting to promote a Pawn by advancing it to the eighth rank. While this wine is made to enjoy upon release, fur-ther maturation over 3 to 7 years will enable it to develop even more complexity, assuming satisfactory cellaring conditions.